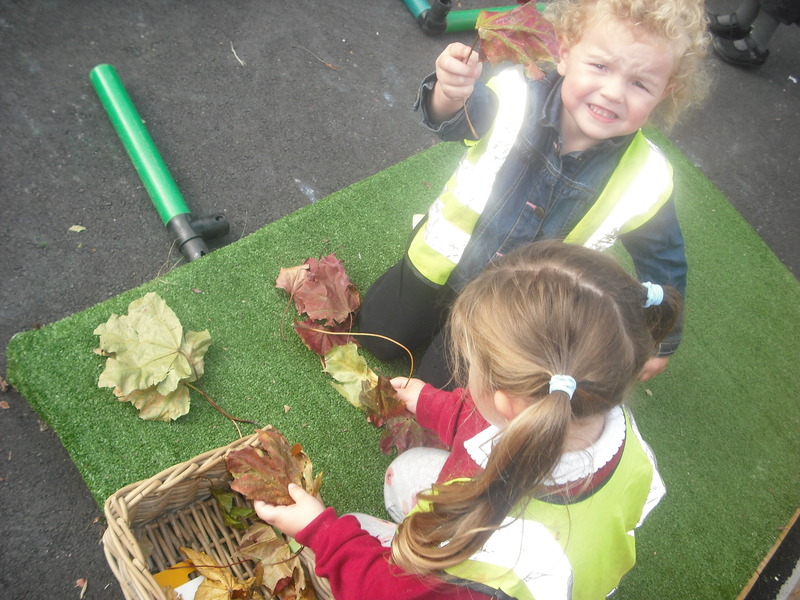 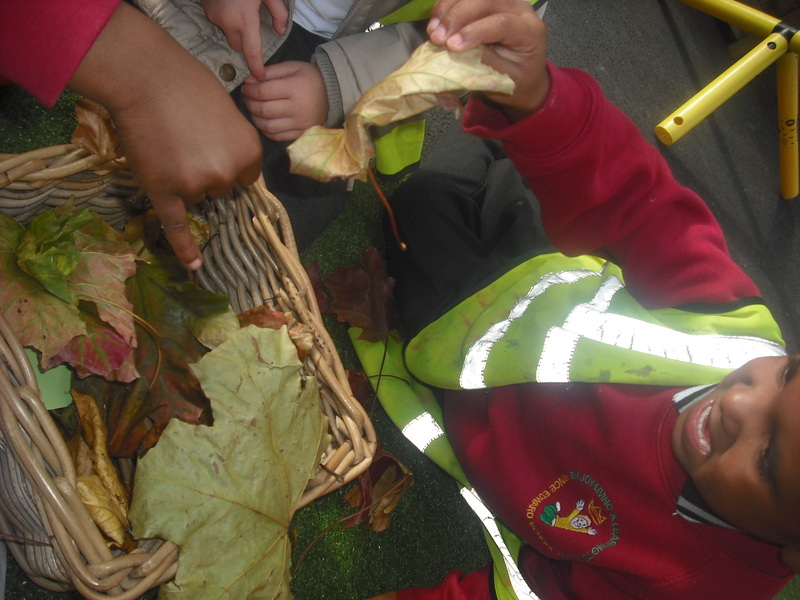 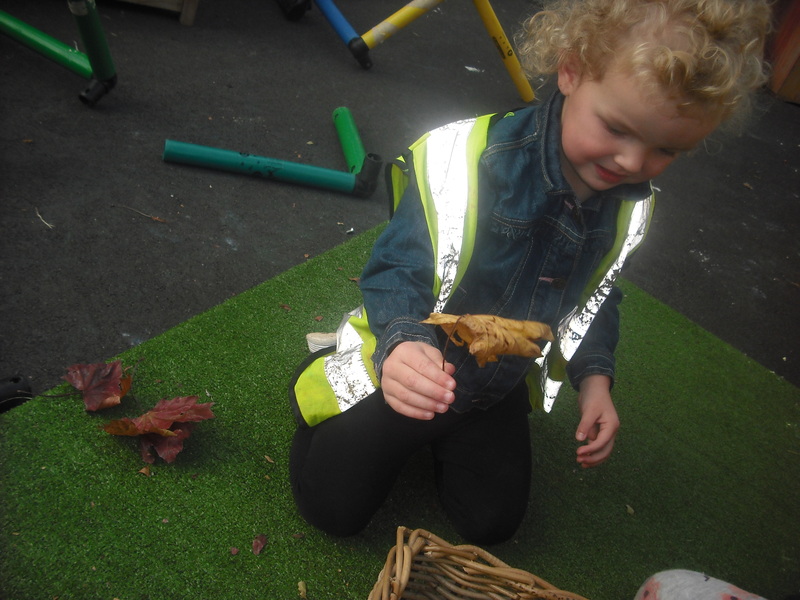 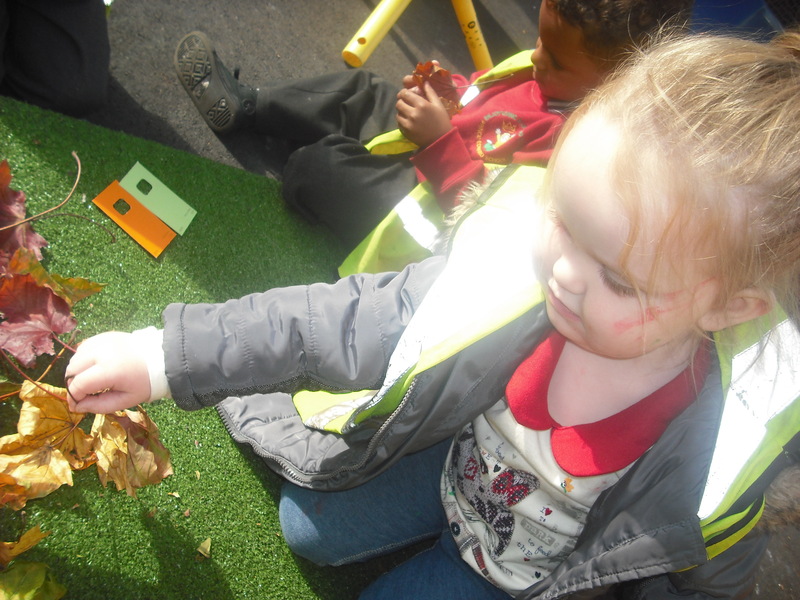 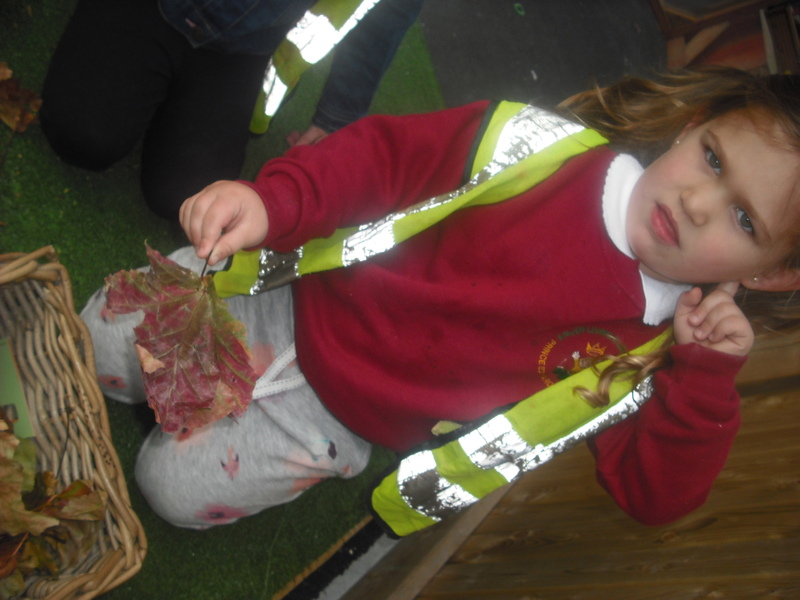 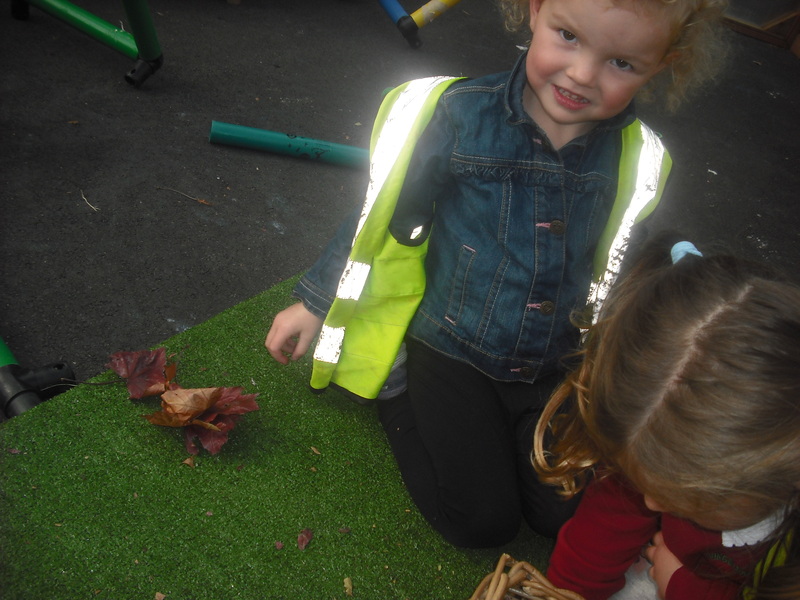 Lots of children found leaves on their way to school and brought them in to share. 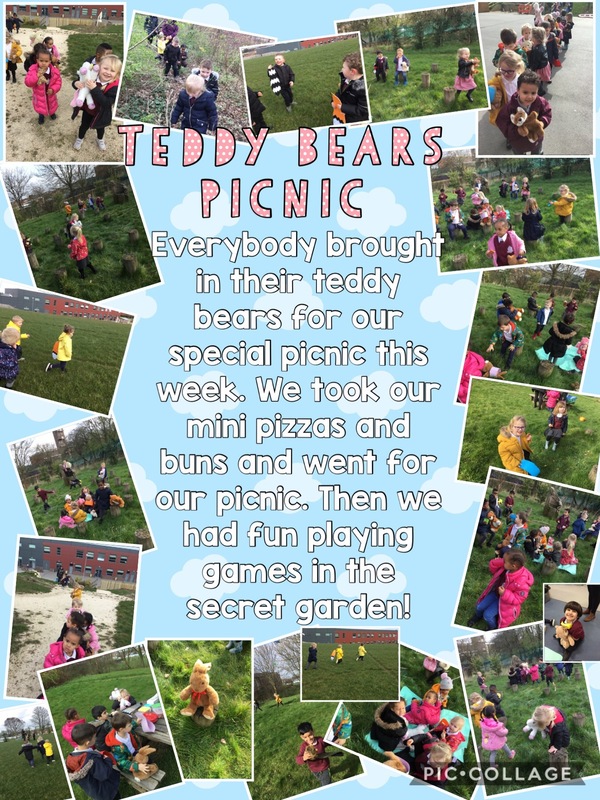 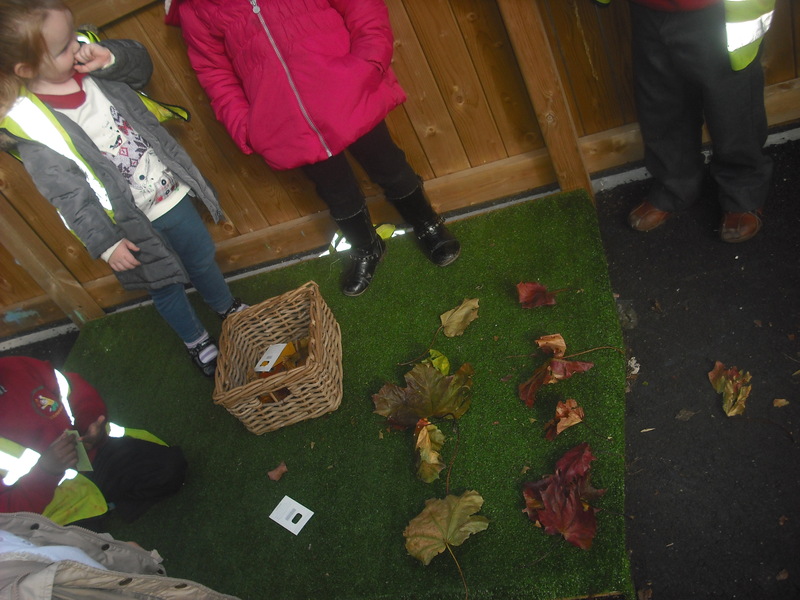 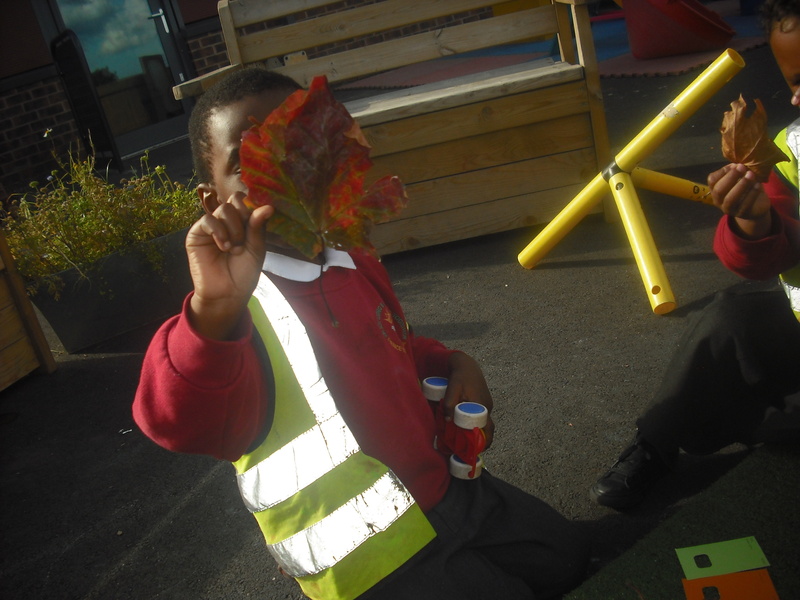 We collected all the leaves together outside. 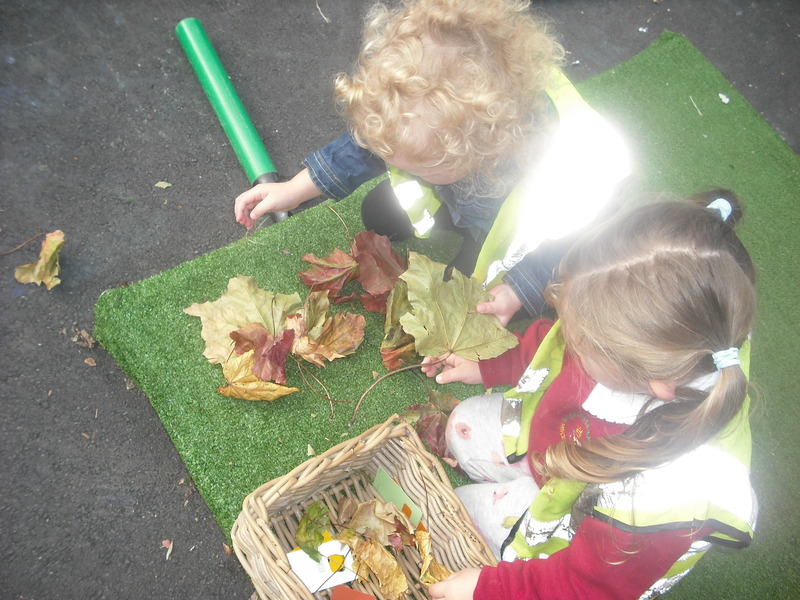 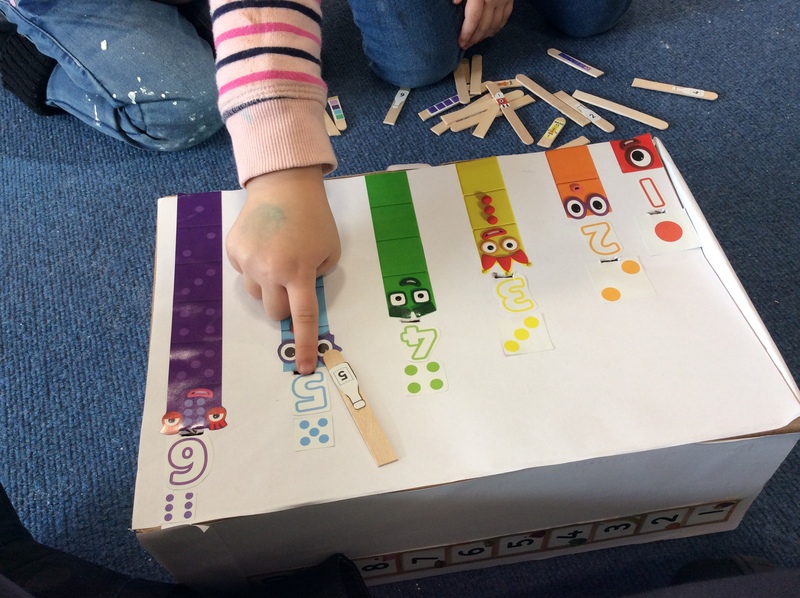 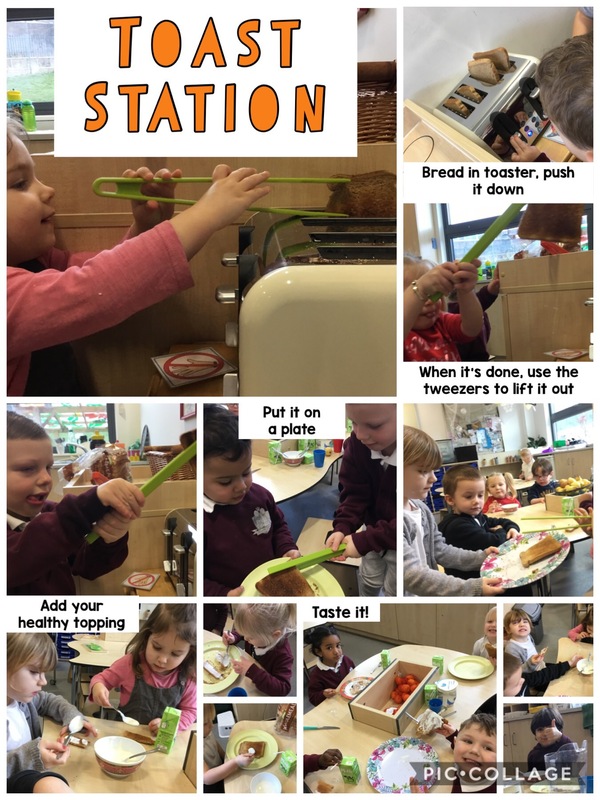 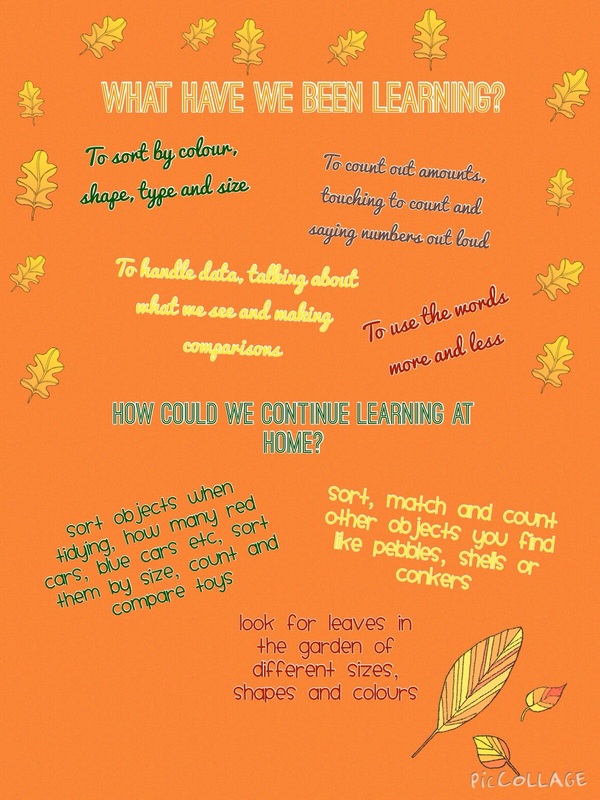 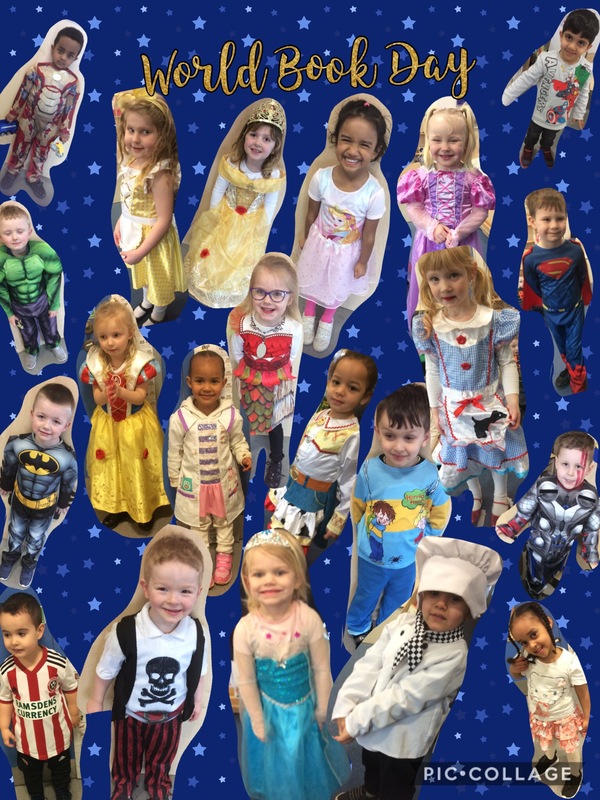 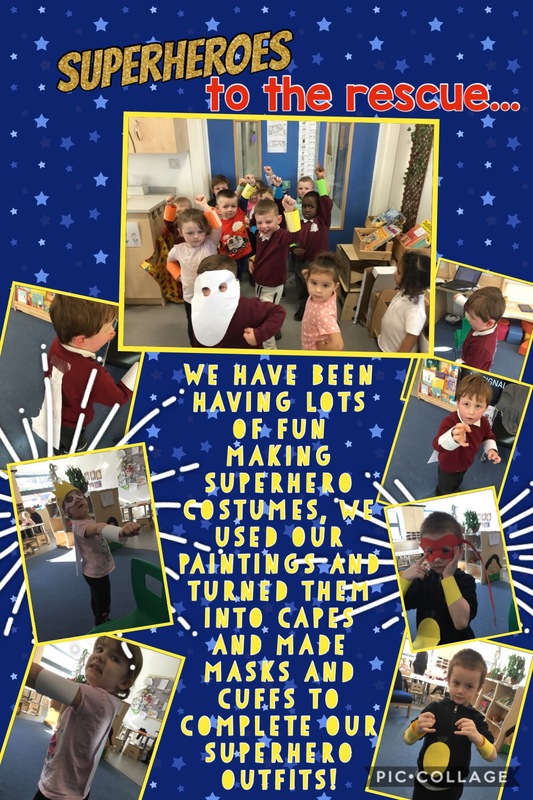 First we thought of the different ways we could sort them; into type, shape, size and colour. 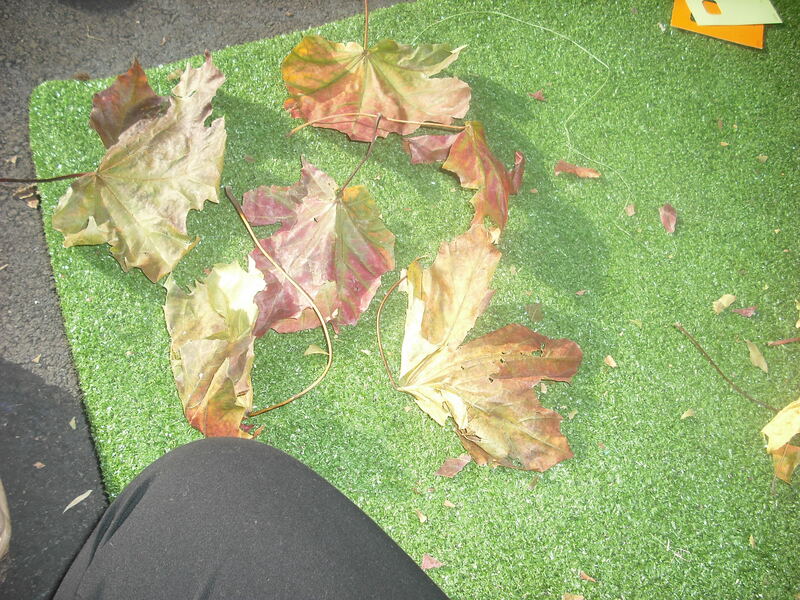 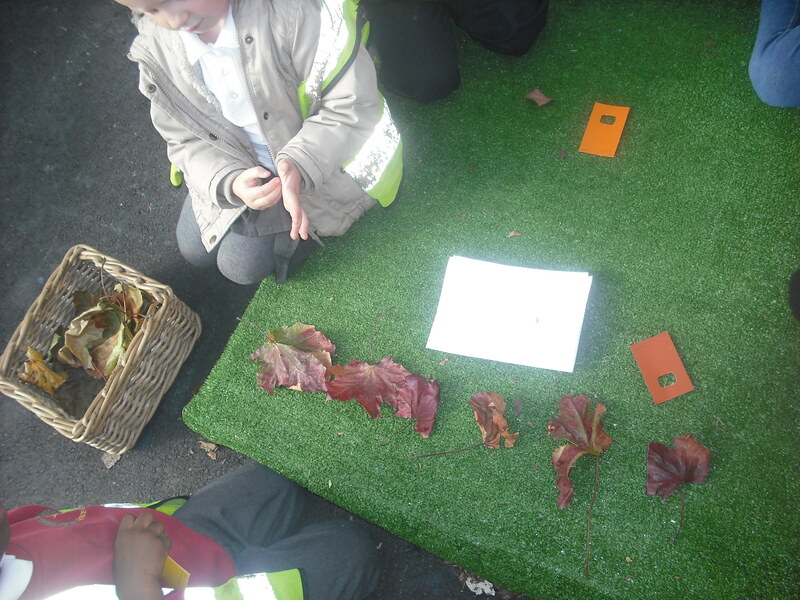 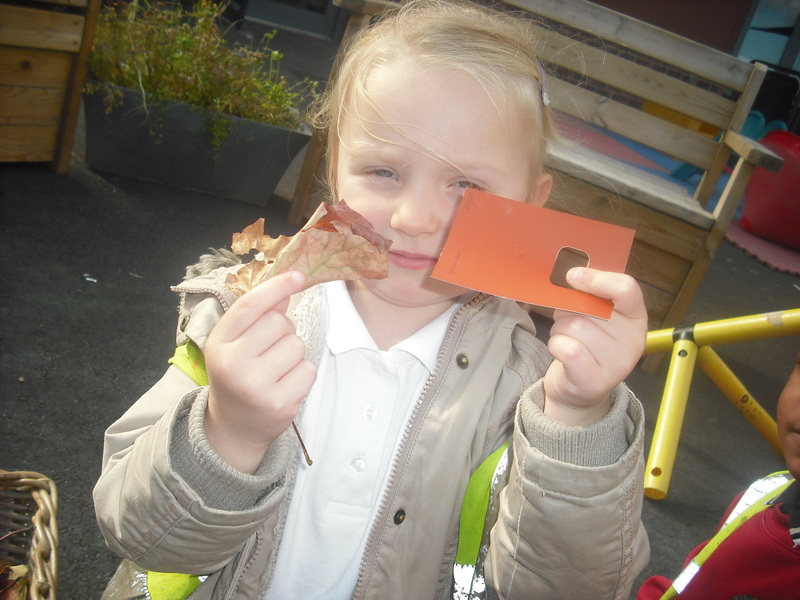 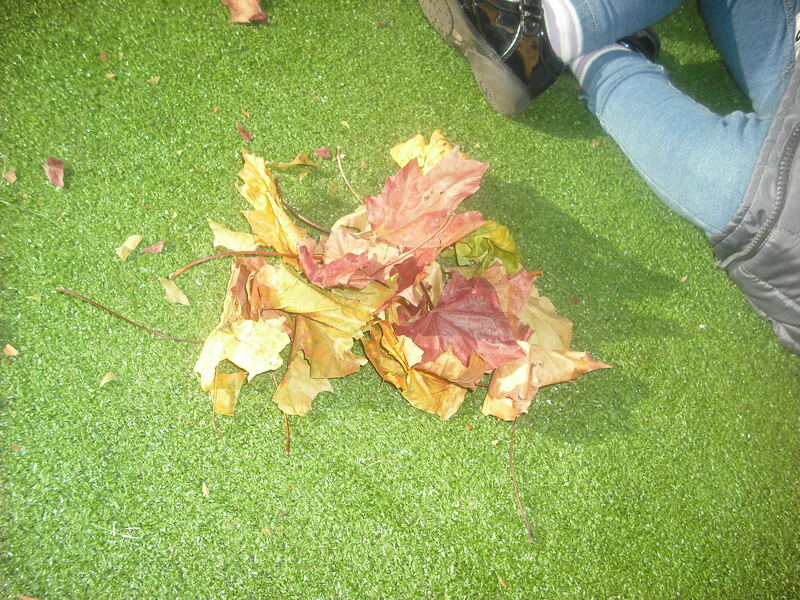 Then we used the leaves to make pictograms. 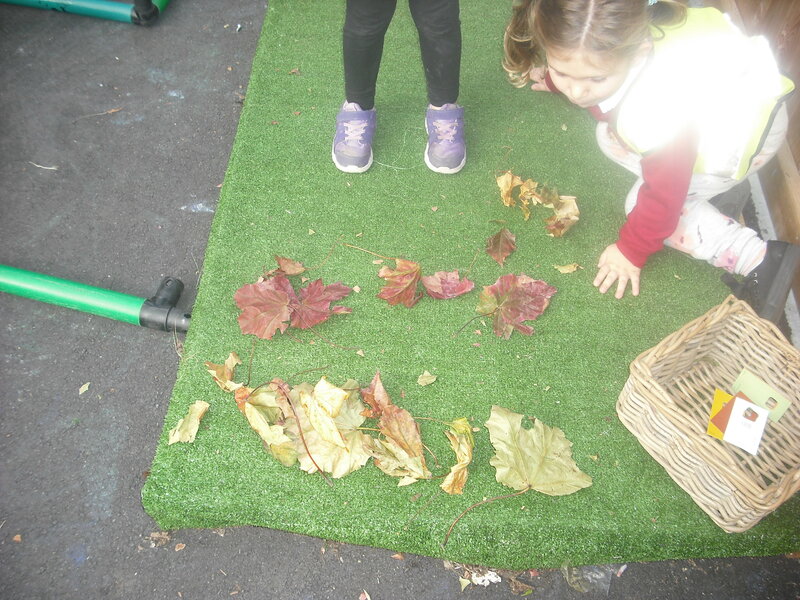 We made lines of the different leaves. 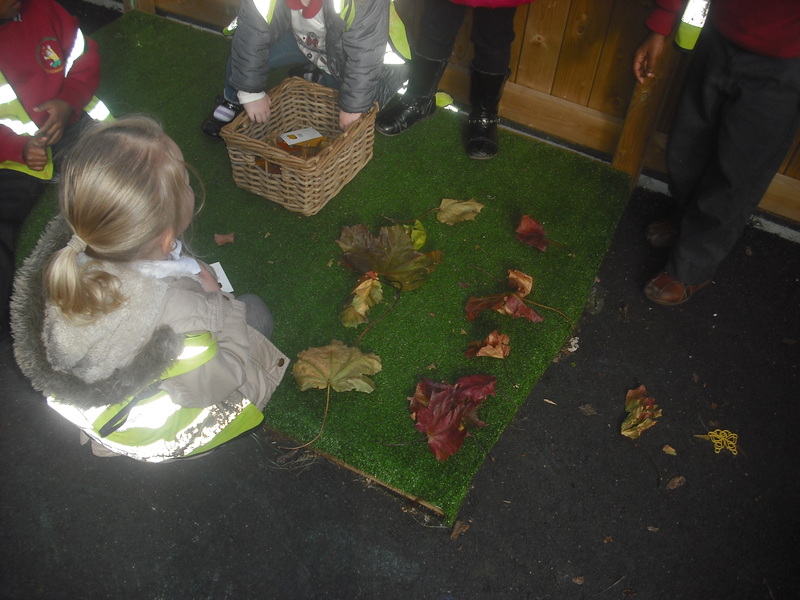 We compared the groups to see which we had the most of and the least of. 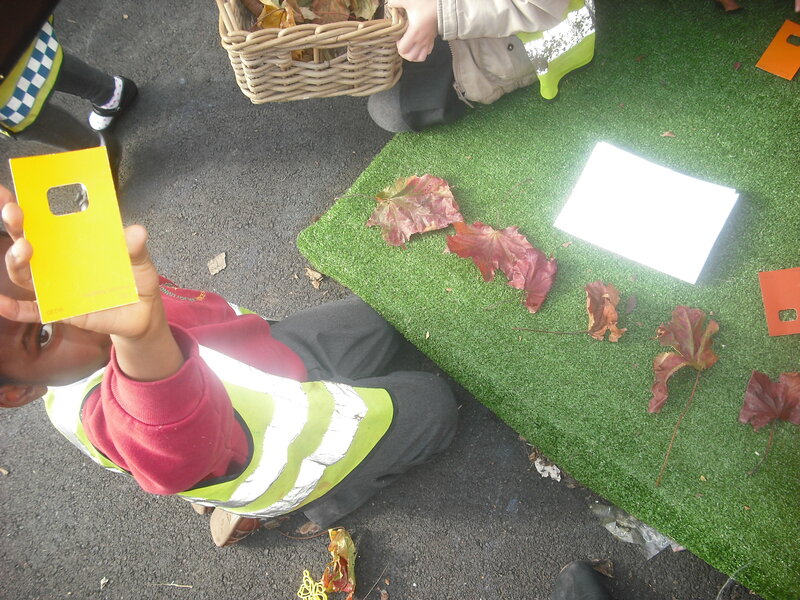 We thought of different pictograms to make and talked about what we could see.